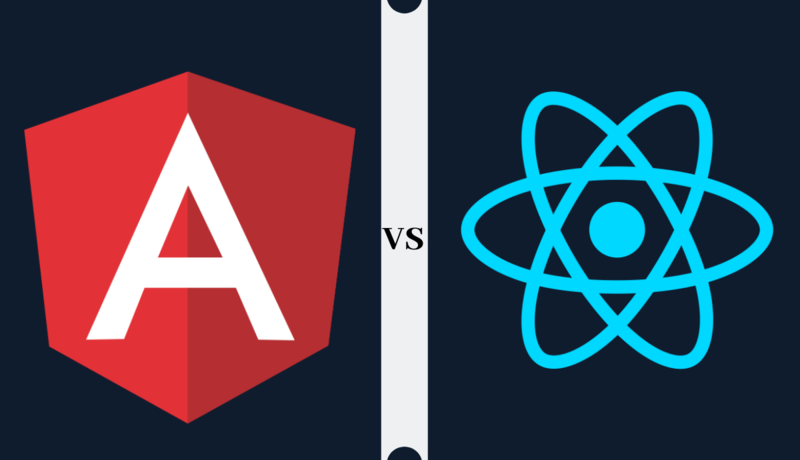 When It Comes Down To Choosing Between Angular OR React Framework For Your App? 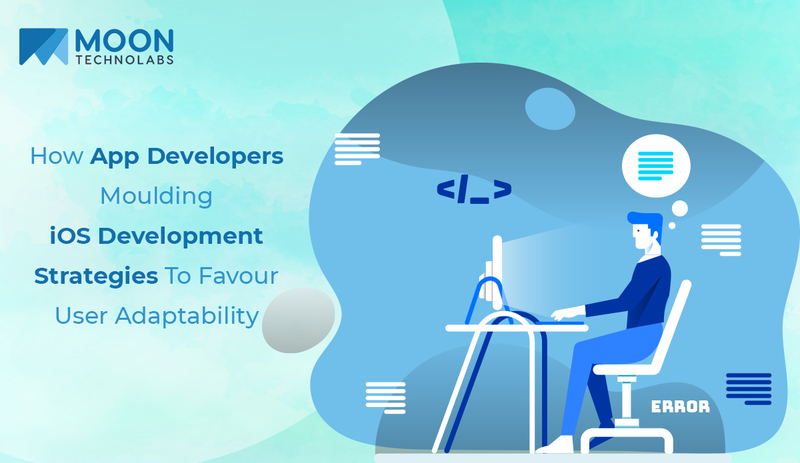 Angular framework and React framework have become popular in the list of the best development framework for 2019. In the discussion, which is better – React Vs Angular? we bring you the best comparison between the features of developing tools for using mobile apps. Well, both of them are best in their own ways, but the conclusion still largely depends upon what exactly is the need of your mobile app project? For example, does your business app requires lots of templates, do you need your app to be containing many dynamic contents, app size, version, strong server-side rendition, etc then you need to prefer accordingly. Following an efficient business model to reduce development time, you must conclude on your own which is the best development framework, i.e, Angular or React for your mobile app project. With its latest version Angular 7, it is widely used for websites & web app while on the contrary React is used for developing reusable HTML elements. Google till date supports the first version, i.e, AngularJS.It is necessary to know before you begin with the mobile app development. First of all, let’s begin with the popular names to understand which frameworks they are using. Angular Vs React – Which brands are using? Let us know go through the feature point and their understanding as to why certain brands have preferred Angular over React or otherwise based on the various factors and conditions. For your mobile app development project, you can always rely on the best AngularJS Web Application Development Company but simultaneously you also need to understand the pros and cons of each of these development frameworks. Angular being part of MEAN stack and supporting many code editors, is considered for full-fledged MVC framework development. If you wish to have the control of selecting libraries on your own than rather go with React platform as Angular is defined with pre-existing libraries. Moreover, their architecture is component-based. In terms of speed and productivity, while react outsmarts Angular by being more sleekier as Angular seemed to take time to load on mobile platforms. On the contrary, there are concerns over React’s speed as well due to the involvement of third-parties libraries. Either of the mobile app developers,i.e, Reactjs app developers or Angularjs app developers need to determine the right architecture in perfect combination with different tools. Both the frameworks are utilizing relatively small app size and when it comes to performance, React using Virtual Document Object Model (Virtual DOM) along with Fiber takes up a dominant position. However, with latest version i.e, Angular 7 comes with ShadowAPI which marginally reduced the difference between using these two for the app size and performance factor. Angular frameworks’ scalable nature comes from its robust design approach and CLI (Command Line Interface) that enhances the design functioning applications resulting in one-line commands, clean code and in-built process to tackle complex issues. However, React promises simpler to test which might allow leading in scalability factor. Angular allows testing & debugging the entire project with single-set of tools like Jasmine, Karma, Protractor. However, this is not the case with Reactjs development which uses multiple-set of tools to execute the various sets of testing. The important thing to understand is the more time and effort it will take in the testing process; the slower will be the development cycle. AngularJS is an open source frontend development framework allowing all kinds of businesses to develop mesmerizing as well as bug-free mobile and web apps. It’s innate quality to support two-way data binding and testing ability also makes it more secure, robust and easy to maintain. As the technology keeps on evolving you must choose the technology wisely depending upon the above-discussed points, factors, and conditions and also decide the best framework for your business mobile app or project as per your app requirements. Believe it or not, but the mobile app and related technology activities have become an intrinsic factor in powering the economy. One can imagine the competition that is striving across the global tech market and to survive and make your app successful in it is a tough task. Hence, the immense focus must be on the user experience for your target audience. 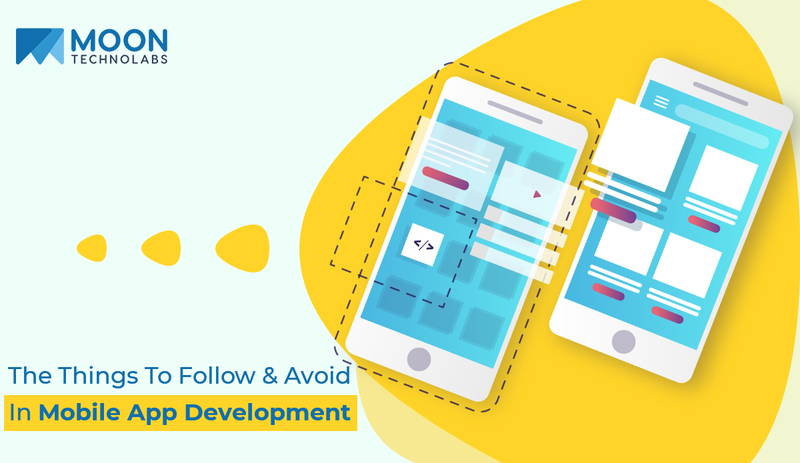 In order to provide great User Experience (UX), you need to know few do’s and don’ts for either Android or iOS mobile application development. Here we have listed certain of them for you to design an amazing mobile application. Top professional app development companies do believe that content is King. It carries the power to represent your business loyalty and excellent services to cater to customers. Moreover, keeping content consistency is a must so that the users get associated with the brand. Additionally, keeping images, design flow and usage of phrases also help to engage the audience. Approximately, with over a couple of millions of apps already in the play store and app store, only those apps could survive and be successful who can find their way to deliver promising user experience. Also, keeping the app simple will create value-based attention from the users. Bringing creative design flow has the power to accelerate the app’s success chance in this competitive market. Today’s generation of mobile, smartphone and tablet users varies across each age group. Hence, make your app easy to understand and handy to apply features & use functionalities in a convenient way to attract a wide range of user base. The basic purpose of the app is to provide value-based user engagement for either customer’s needs, preferences and user behavior pattern. Moreover, it should adhere to delivering the primary needs of the customers. Maintaining app’s simplicity is utmost important as otherwise it can give a bad impression and make user uninstall it. Keeping the app simple can be achieved by the limited but comprehensive set of features so that the app does not look too complicated to use. 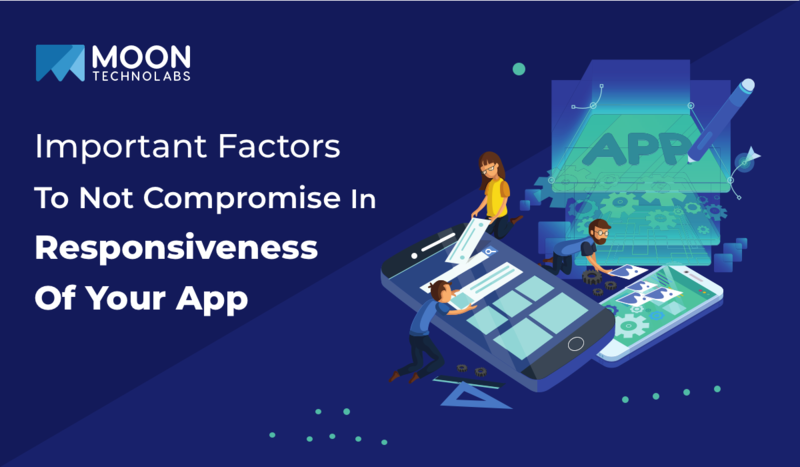 From time to time put your app on a comparison test against the current or trendiest set of features ongoing so as to remove unnecessary or unwanted features to enhance app feasibility. No matter how bright is your app in terms of idea, design or usefulness, it will never be used if there are chances of a security breach. No user wants to take the risk of losing personal and confidential data. For obvious reasons such as broken, loss or theft, etc…user’s prefer to have an app in which their data is safe and secured. A more secure app is directly proportional to the increased user base. Let your app be intuitive and responsive. The moment your user is immersed in the app design or usability, then you have a loyal user who can associate with the brand in a unique way. Due to high competition, mobile app developers need to focus on branding and encompassing the app in a neat & nice design package to maintain the grip on the customer base. Even in such a competitive market, it is not impossible to have such an app that can cater services in a unique way. 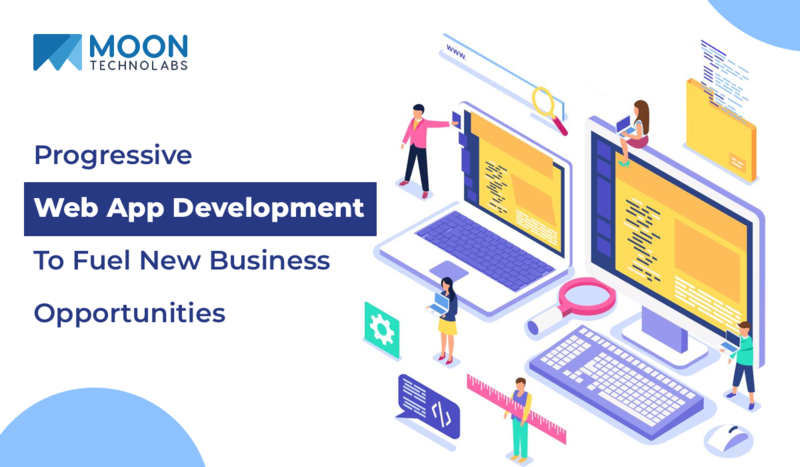 Mobile app development is flourishing with the opportunities and in such a moment, all you need to find a way that makes your app stand apart from the rest. A top mobile app development company like us can help you with your mobile app project starting from ideation to post app deployment strategy and assistance. In a way, our lives are incomplete without smartphones and mobile apps. The reason is that the apps have made our life easier and instant. Apparently, the need of the developers differs than that from the mobile app users. When it comes to mobile app developers and top mobile app development company, they have numerous perspective keeping the business in mind. But, the smartphone users are able to get what they want on the internet for free. So, you’ll need strategies to monetize your app for the customers who don’t want to spend. The key important factor here to consider is to grow engagement within the app through various ways. There are many paid apps without any in-app purchases and/or advertising, but these are very rare. Moreover, according to SensorTower Store Intelligence, mobile app revenue was marked at $60 billion by the end of 2017. 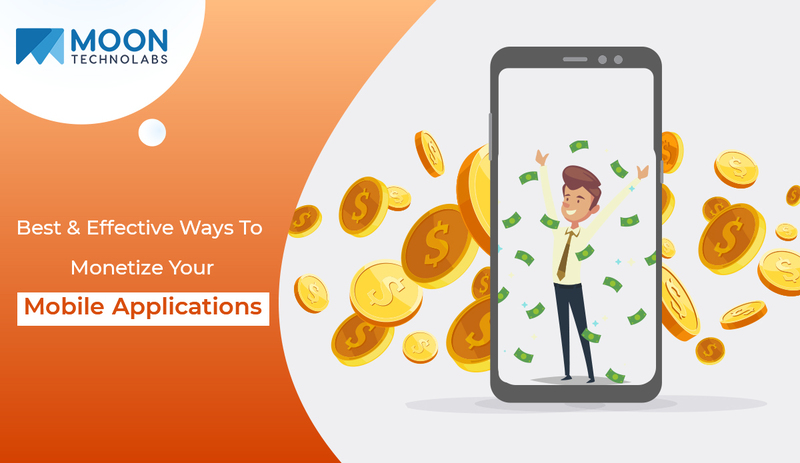 Let’s take a look at these simple yet effective ways to monetize your app. The best way to proceed is to see what customers think and their perspective. Keeping that in mind, if it is in the best interest than you can go about offering the app for free or don’t offer any in-app payments. But, there is still the option of in-app advertising available which will favour both sides of the business. In-app advertising generated $41 billion in revenue by 2015 and is expected to reach approximately $117 billion by the end of 2020. This method proves to be extensively beneficial in adding a revenue stream for mobile apps. Developers can provide the option to disable the adds for either money or for a certain period of time. Well, customers will probably use this option of disabling ads before opting for any other thing in in-app purchase. The main segment in the industry for in-app purchases as per the mobile app developers is taken towards gaming apps. However, in-app purchases for non-gaming apps are was also registered at 49% in 2017. This feature is becoming mandatory for every app developer. In-app purchases are responsible for more than 50% of app revenue and hence, this method of monetization remains at the top. If your app is successfully able to create engagement in the first instance than customers will tend to spend more on in-app purchases. More the number of users feel that the app is worth it, you’ll not only gain more users but also they are willing to pay for in-app purchases. Paid-for apps are quite different than that of in-app purchase. Paid-for apps require paid downloads and generally are ads-free, unique and have better quality. Paid-for apps usually account for only one-time payment and thus, in-app purchases generate more revenue than paid apps. Paid subscription packages and offers are good monetizing elements to offer to your existing customers. Since you have presented the first one for free, it is quite easier and cost-effective to make them another purchase. On the contrary, paid-for apps would require proper marketing and higher search rankings. Even though in-app purchase revenue is steadily increasing in all market segments apps, paid-apps are still generating more profits than its counter-strategy of in-app ads. Let’s see how this works. Merging the two business approach of in-app and paid-apps, you can simply offer multiple version of the app. When most of the apps are available for free, it is a crucial thing to ask customers to pay first and then let them use the app. What if they don’t like it? To cope up with this, you can offer the basic or free version of the app and once they get the hang of it then, can go for a fully loaded version of the app. If they like your app, they definitely wouldn’t want to stay with the limited version. Hence, ‘try before you buy’ is a way to proceed. This is one of the important ways to monetize your app. Sponsorship will help twice if your app has already a large number of users. However, you can still implement the strategies to attract more. It depends on what conditions or ground you and your sponsors agree for the app. You might need to modify app’s name and it could be an advantage to them if your app is targeting the same audience of the industry. Companies from outside mobile app industry are very keen to join hands as they are able to gain potential users and an app. Partnerships can be based on many factors and forms such as going for in-app ads, a set of push notifications, a sponsor-named feature event or integration or even location-based offers. This can be mutually decided among both and such a strategy can be implemented as per beneficial to them and your users. There are many other types of monetization. You’ll have to figure out which one will suit you best. If not one, then you can try other also. A top mobile app development company can play a massive role in helping you to enlarge your customer base. Moreover, you can hire mobile app developers also to find out and induce some of the latest monetizing strategies. In the past decade or so, we all have seen the tech transformation and innovations which shaped the world in a totally different fashion. Smartphones and mobile apps help in performing most of our daily tasks whether personal or professional. Users can play games, book tickets online, prepare reports, send faxes, wander into unknown places with the help of maps and navigation, check offers & discounts from their favourite retails store or even can track their daily health and fitness goals. Such dependency on smartphones and mobile apps has increased the need for more sophisticated mobile apps to fulfil growing customer’s need. One of such tech revolution is brought by Virtual Reality (VR). Technology has already enabled businesses to conduct operations and meetings through teleconferences seamlessly which led to saving time and cost. En-route on this tech journey, now the virtual reality and its impact in every industry sector will play a significant role. Businesses such as gaming, retail store, real estate, etc have seen the huge transformation where they people can feel the realistic experience or approach for entertainment, testing products, digital devices & projection, etc. Recent iOS version now supports virtual reality applications which have led to an increased liking and interest of VR among iPhone users. For iOS app development, businesses are looking to expand by providing possible virtual reality experience for their iPhone customers. VR gears such as glasses or headsets allow you to connect to the virtual world. This has resulted in iOS app developers to focus on creating VR experience in human presence as mainstream. User interface plays a crucial role in the success of an app development. This is results in deeper user engagement ultimately leading to a loyal customer base. Mobile app developers and iOS mobile app development companies have realised it and now paying meticulous attention to detail in creating VR apps which have improved the user interface. With real-life experience, these VR apps ensure that users are fully immersed in the app ultimately can cater to better customer satisfaction. Virtual reality technology has been introduced in many sectors including education wherein it allows the learning experience to be more exciting and interactive. Students can take a virtual tour of any industry or can accomplish their field trip using apps like Google expedition. With recent innovations of mobile apps such as Oculus Rift headsets, students are much more conveniently able to communicate with people around the world. The application help users to converse with the other person in their native language. Virtual Reality does provide an epic experience to consumers for e.g in shopping and booking. Users can complete their online activities without any hassle using these VR enabled applications. Customers can now easily make an informed decision by checking the products in all the 3 dimensions without even visiting the store. Not only for customers but it also saves the time of businesses. There are many features of VR app development such as smooth app operation, stable and efficient tracking, etc. There are various mobile applications launched which have started to revolutionize the tech world in the mobile app industry. Few examples of such mobile applications are Google cardboard, Augmented Reality GPS, Sisters, Augmented Reality Browsers, Orbulus, RYOT VR, etc. Despite all the recent innovations, there are very few apps that support virtual reality. 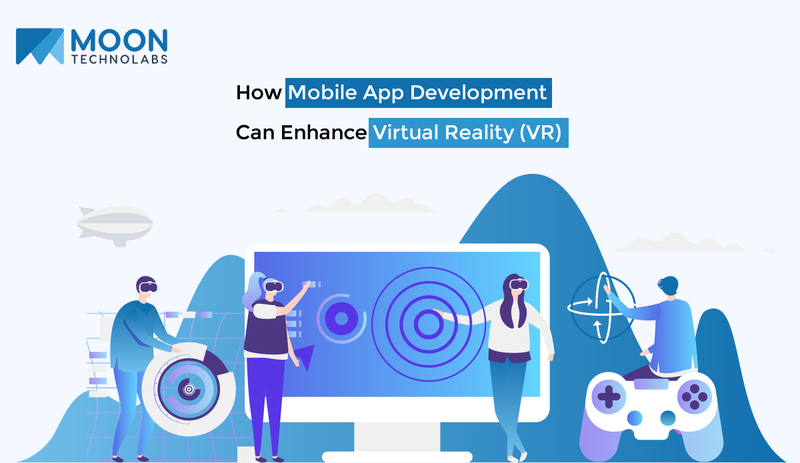 Hence, to harness this vast potential of virtual reality mobile app development companies has to constantly involve in creating innovative apps. 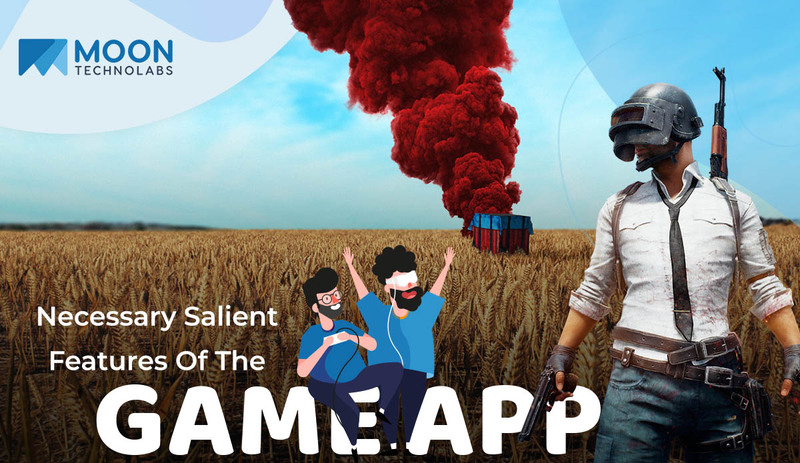 Moon Technolabs, #1 premiere top mobile app development company is continuously striving to bring and add something new to a virtual reality through various business projects ranging in the diverse industry sector. Mobile application from the same category competes on many levels such as features, functionality, UI/UX, overall operationality, etc. Moreover, mobile platforms are constantly involved in bringing new and improved features to enhance usability. Some of the cutting-edge features are still yet to be seen in the many iOS apps published today. 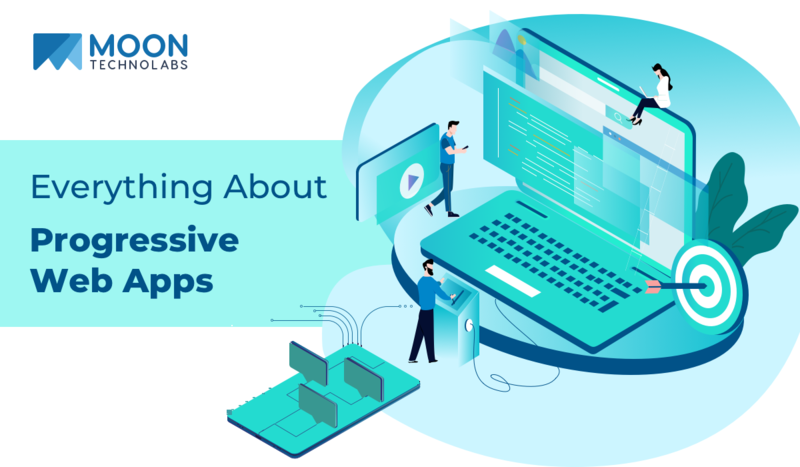 For various reasons, app developers and mobile app development companies keep these features away from their app development thinking they are irrelevant to their app usability. However, it should be not the case. Drag and drop functionality effectively allows moving objects within interface among different applications with just one touch. Many iOS app development companies are already using it as a part of their development strategy. Apple is now trying to integrate it for its mobile devices. This feature allows data to easily flow between apps resulting in creating simple content without taking help of every feature. Split view in iPhone app development works on the same principle of boosting the productivity to perform such tasks. Siri, when used properly can do wonder for users and the way they interact with the applications. It is a smart assistant following voice commands to perform various tasks, especially in a situation wherein, touch is not available. When it comes to iPhone app development, one cannot just consider Siri for timer or task reminder instead need to ensure high usability. App developers with complete knowledge of Siri can integrate Sirikit into the development process to create Sirikit supportive apps so that users are able to perform from simple to complex tasks when touch is not available. Using TouchID, a user can easily avoid inputs such as username, password, pattern to unlock the phone with the fingerprint authentication system. This feature is gaining momentum and adaptability due to its high security and efficiency. Many app development companies are getting enriched with this process to increase hassle-free authentication on their apps. TouchID authentication system works just like password manager integration. One way you can optimize this is to hire iPhone app developer to develop a TouchID authentication application especially if your mobile app requires authentication more often. Extensions are great in any application if the said app is going to have fewer features and using it in conjunction with other apps to complete the task requires a very efficient system. Such features allow apps to perform tasks by delegating it to the other apps. App development companies are building extension supportive apps for which users can finish their tasks in the app while their own apps are built to support other app’s extension. These were originally implemented for iPad. Split view feature allows users to split the screen and open two different apps. Also, the can effectively distribute and adjust the screen size as per their need. However, there are not many apps that are supporting this feature. Slide over is high in demand for developers whose apps need to work side-by-side with another app such as calendar or notes. It is utmost important to hire app developer who can completely develop apps with Split View and Slide Over features. Every app sends notifications and it is a tedious task to open the app every now and then. But with interactive notifications, there won’t need to launch the app and users are easily able to respond via notification page itself. It is best practice to hire app developer who can enable users to preview the notification message without having to launch the app. In all the category of mobile applications available, ‘Game Apps’ generate the highest revenue. True in its own sense as all the other apps that are being used are for some purpose or task. Gaming apps are purely for fun and entertainment. Hence, when these apps are designed and developed, ‘Game App Developers’ have to ensure certain features and characteristics to get enough downloads. Thousands of game apps are released every day and due to the lack of these elements, a lot of game apps are not successful. A certain segment of app developers & mobile app development companies also believes that the gaming app industry have reached its limit and the point of saturation has arrived as there are thousands of game apps available in all the categories such as action, arcade, racing, card & board, strategy games, etc. However, that might not be completely true as well. There were few symbolic elements found in the highly successful apps which were recognized by the Indian app developers. The verdict was that to have them in the app is not an option but a necessity. This is the stepping stone to allure any app user for an initial download and to stay with the app. Nothing will draw players to a game more than graphics and if it is realistic and seamless than the job is done. Though you will have to work a lot on graphics to hit a mark of 50 million downloads to ensure that you have great 3D graphics. Through graphics, a user will come to know about the other great features of the game. Game sounds give a player an amazing feel of the game when mixed with stunning graphics. It keeps the user not only hooked to the game but also provides a unique experience of the game. Additionally, few of the top-notch game apps have game sound and theme music for the app. This feature will attract the onlookers and also helps in increasing the number of downloads. If the game could keep a player on the edge throughout the game duration than it has the essential quality of engaging and addictive gaming mode. A gameplay that pulls a player totally into game leaving him/her out of this world will make the user spend more time with the game. Game developers need to understand that sound and graphics works in coordination and leads to engaging gameplay. Is your gaming concept unique? Does your game has a deep storyline to attract players? There are many games such as sports, war games, survival game modes, racing games, etc wherein more could be done with respect to the storyline. For e.g, if it is a football game then one could develop the story around player or manager of the club and the league also. On the other hand, if the game is simple then you definitely need to have a catchy storyline to keep the players attracted to your game. Nowadays, the games offer a platform wherein, players can challenge their friends or the other in-game players over the internet. This is quite an uptake as playing against a computer or even better at times than playing offline games. Not that the offline games aren’t favorable as they provide the benefit of playing while a user is facing any network issue or run out of data. However, there is also a rise in the in-game competition, players like the online mode so that they can send challenge requests to friends and other players for a one-on-one duel mode or multiplayer play. Another great feature of the gaming app is to have leaderboards, wherein a player’s ranking, trophies, and score are highlighted. If this feature isn’t there then only your friends could watch and see your game progress, however, with leaderboards, your name will be displayed among the best and other players all over the world can also see it. As everyone tries to enlist their name in the leaderboards by increasing their rank, it raises competition bar higher and the app becomes more interesting and intense. If the game has fewer stages and lesser levels than it is easier to clear and usually players can reach at the end of the game within a couple of days. This will actually not serve the purpose. For an app developer wanting players to spend more time with the app and for the longer period has to come up with the numerous levels and difficult stages as well. Keeping more than 100 levels or stages keeps the fun and thrill of the game intact of course when mixed with hard stages. Game app developers have to keep in mind that the game app size should be moderate and as per the need. As most mobile users have many apps on their phones and are usually struggling with the memory space especially with the constant updates, etc. It is advisable to keep the game app size as compact as possible for more user to download and keep it. Initially, irrespective of the operating system on which you are trying to build an application but paying meticulous attention to detail will lead you to understand that factors such as terms of language, tools used, work environment, design and even developing cost, all of which play a major role. Let’s see the points and aspects that need to be taken care of for iOS and Android mobile operating system. Developers with the complete set of technical know-how for both these sets of the mobile operating system is the one that differentiates and can be taken into account while developing the mobile application. For iOS mobile development, the Apple devices favoured app development environment is Xcode. On the other hand, Android Studio remains the torch-bearing name for Android mobile development, owned by Google. 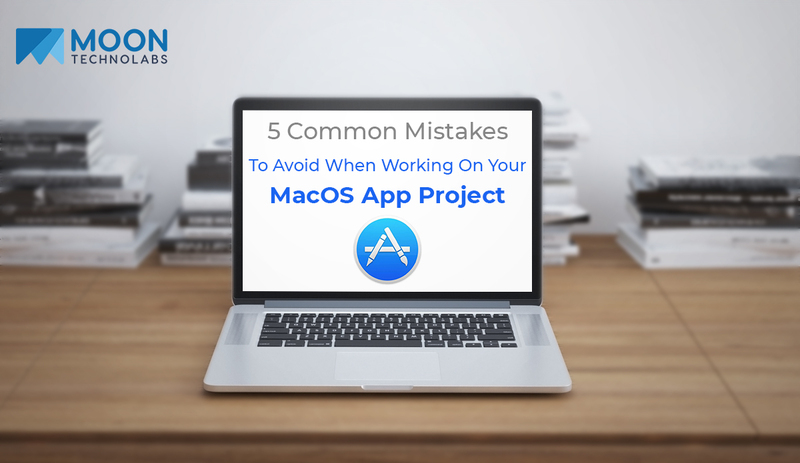 Once the programming phase is over, developers use program compilers to run their code and detect any errors and eliminating ensuring that the apps are working without any interruptions. An emulator is required to check this and for Android apps, the program can be launched as close as feasible to hardware environment. On the contrary, Apple applications can directly run on a quick simulator to perform only the software part. Hence, it is always advisable to check and test the program or application directly on the device specific. Objective-C and Swift language are used for the project under Xcode, while for those running on Android Studio uses the Java language and more recently, Kotlin. The graphics aspect is treated distinctively. As for Android applications, you’ll need XML files that will be called in the code. However, for the iOS, it is mandatory to go through XIB files convertible to NIB before they could be called in the code. When it comes to mobile design, every operating system has its own pros and cons with respect to technical strength to cater to the user experience. However, a rule of thumb, each project is independent and varies based on the preference of the customers. It is important to keep in mind the design perspective and the importance of the back button during the development stages of the application interface. For not being included in the structure of iPhone, iPad or iPod touch could result in consequences on the design of the application. Unless you wish to bring in profits and gain monetary benefits from the app, you can keep it simple as a complementary experience to your app users to increase the number of downloads. But otherwise, you must design a well adapt quality app that can even interest users to pay for the service. You need to take into consideration about monetizing the app or not as early as from the design stage. Whether the app will be free to download, would there be in-app purchases or a ‘freemium’ subscription, etc are the few questions for which you need to be ready from the beginning. Cost of developing an iPhone application is a little more expensive as a number of iPhone app developers aren’t that much and those who are available have higher rates. Moreover, Apple developers have to invest in Mac to run the program in Xcode. Also, the app developer team also needs to have complete and thorough technical knowledge. iOS mobile apps are developed on Objective-C and Swift language which is powerful and robust. Most of the nowadays apps are completely written in Swift such as LinkedIn, Airbnb, etc. First of all, you’ll need to open a developer’s account. Also, you’ll need to work with an operating system that allows to download and access the API’s- the application programming interfaces. Junior developers begin with object-oriented programming and also take care of User Interface of the application. On an average, after a year of experience, the junior developer has the ability to develop the interface with the back-end part. 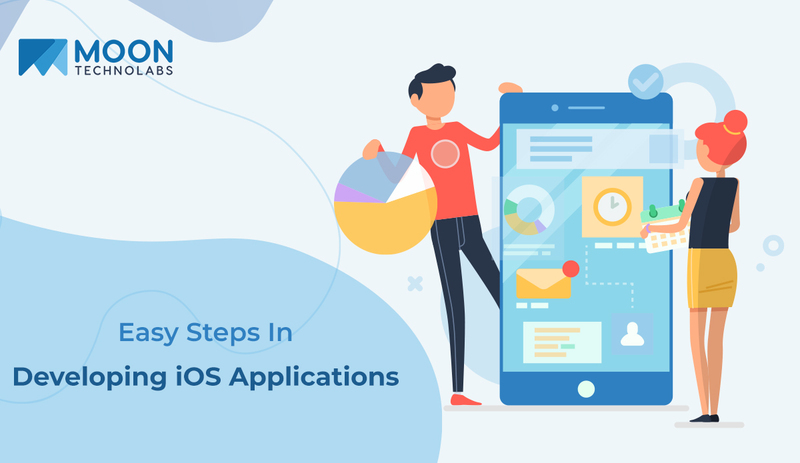 The experts of iOS mobile app development are at a level where they are able to solve problems in case of memory leak or rendering problem for example. With enough experience gained, he can extend his field of expertise to the most intense part of application development i.e, manage and sync important data flows with Core Data. Moreover, using an app development company to outsource programming is also beneficial in lots of terms. © 2009-2019 Moon Technolabs Pvt. Ltd.